Phenelle Segal, RN, CIC, President of Infection Control Consulting Services (ICCS), has published a new special report that examines the outbreaks and instances of methicillin-resistant Staphylococcus aureus (MRSA) that have plagued the National Football League (NFL). 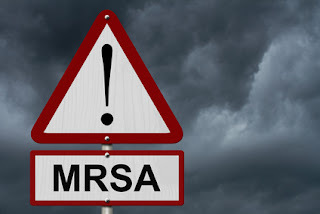 In the special report, Phenelle writes about the most recent case of MRSA involving an NFL player (New York Giants tight end Daniel Fells) before discussing why the NFL has struggled with MRSA for more than a decade, the dangers of this infectious disease and why preventing MRSA must be a top priority for healthcare facilities, including hospitals and outpatient care settings. Read the ICCS special report on NFL MRSA infections. This special report is the third published by ICCS this year. Previous special reports discussed the CDC calling for facilities to review their reprocessing procedures for reusable medical devices and the revised ASC infection control surveyor worksheet.